Urban Taggers. : Welcome to Urban Taggers. 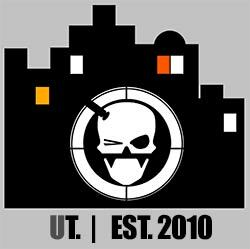 Welcome to Urban Taggers ; a blog dedicated to the gentle art of running around your friendly neighbourhood and frantically shooting at your friends without causing any injuries or pain:) On the whole we'll be covering all things to do with out-of-the-box Nerf, Super Soaker and Lazer Tag and anything else we can think of that involves toy shooting goodness! and i say you are doing good! Triad EX-3 spotted at Kmart, 8 dollars. Not a bad price for such a good blaster. And this here, was the birth of a legend. This was the beginning. So sad it had to end. Btw the guy that said "Oooh, the first post!" was me.